Today we drove up to Arlington, Texas from Houston. The KOA we are staying at here is very near the ballpark, so we set up camp before the game. We then headed to the game after a few hours relaxing in the lounge at the KOA. We got to Rangers Park at Arlington about 45 minutes before it opened. We walked around a little outside before just getting in line to wait for the gates to open. It was a little crazy going into the park with a lot of kids there for Autograph Wednesdays and rushing to be in line for that. That and some little league tournament had a bunch of teams there. After getting into the park we walked around a little and stopped at one of the team shops. We then ended up going up to the seats we had tickets for in section 344. We got to those and Mik was so disappointed in the view of right field being blocked. Other than that they seemed fine, but we did not end up staying there long because we ended up with another surprise upgrade. We ended up sitting on the 3rd base side in section 18. The view of the field was way better and we also could see the scoreboard. We also got goodie bags that included Rangers ballcaps, Rangers batting helmets, autographed cards, stickers, magnet schedules, 2009-2010 calenders, and Rangers circle logo pennants. The game was kind of long considering the rather minimal scoring, but it was a good game with the home team Rangers winning. The Red Sox took the lead first with their one and only run, which was a home run in the top of the 3rd. The Rangers tied it up with a homer in the bottom of the 3rd. They got the lead with two runs scored in the bottom of the 4th and then that was the end of the scoring plays in the game. One of the most interesting plays, though occurred in the bottom of the 5th when one of the Rangers got out because he was hit by the ball his teammate hit while avoiding his teammate's broken bat. Mik was happy to see Papelbon come on and pitch an inning for the Red Sox. Overall an enjoyable game experience. There sure were a lot of Red Sox fans, but the Rangers fans were still obviously there and cheering for their team, which does not always happen when teams like the Red Sox play. The hot humidity of Arlington is not as bad as Houston, but boy is the Astros park much more comfortable with it's AC. At least the Rangers Park does have it's own uniqueness with the feel of old ballpark architecture that is helped by the lack of a massive jumbotron. Sure they have a decent scoreboard, but it only has a small part of it is a screen for the video stuff and they keep the bottom as the box score all the time. At the National Museum of American History Mik and I each got a smashed penny. The designs seem to be the same as they always were, but the machine is one of the newer ones that cost $1 per penny. The one I got says National Museum of American History Kenneth E. Behring Center and has an image of the museum building. Mik chose the Spark Lab one that says National Museum of American History Lemelson Center. Before going to the Nationals game on July 18, 2009, we took the Metro into D.C. and visited the National Museum of American History. This is my favorite museum in D.C. and I have not seen it in over 3 years due to it being closed and this being my first time in D.C. since it reopened. I thought we were going to end up skipping it since we changed the plans and stayed in Atlanta an extra day to see the Maddux Number Retirement Ceremony. However, we got to the D.C. area, set up camp, and still had several hours to waste before the Nats game. Also, since I had been to Nationals Park a lot we did not have to worry about getting there early because I knew where we were going and that there is not really anything to see outside the park. It was a Saturday and it is the summer, so it ended up being very crowded, so we did not really get to see much. We did wait in line to see the new way they display the Star Spangled Banner, which is really well done. It was also oddly the shortest line to wait in to see an exhibit. The only other exhibit we got to was the Philadelphia Gunboat. I had wanted to also see the Popular Culture exhibit, but there was a long line just to get into the exhibit. I had never seen it to ridiculous before and honestly I think the remodel has caused these line issues because the exhibits are now more connected with less general hallway space in between. That and it having been closed for so long and it being the first summer reopened probably added to their being more people visiting. Anyways it was sadly not as enjoyable as I had thought it would be. We ended up leaving after less than an hour because there was no way to see anything and still get out of there to the Metro and then the game. Thus we wasted time by walking the National Mall to get to the green line at L’Enfant Plaza and go to the game instead of getting on the closest stop and having to transfer at L’Enfant Plaza, which can be an annoying multi elevator thing. The sticker we choose for the car at the Nationals game is one of the rectangle ones. It says Washington Nationals on the top. It has a baseball as part of the design and has a curly W logo on the baseball. I am not sure what the parking situation is like at Nationals Park, as I have never gone to a game here any other way than taking the Metro. 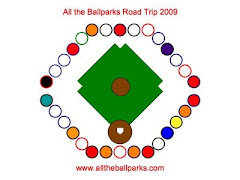 Since I am so familiar with going to the Nats games via the Metro this was the one game we did not even try to park near the park and just parked at one of the Park & Ride lots at the end of the Green Line. Sure getting on the Metro after the game is a little congested, but by staying on the Green Line and going away from the city after the game we avoided the biggest crowds going the other direction and the transferring at L’Enfant Plaza, which I am used to having lived on the Yellow Line, but can be annoying with a wheelchair due to the elevator configuration at L’Enfant Plaza. By the way if you have to transfer to the Yellow from the Green, especially if you need to use an elevator, do it at Archives/Navy Memorial because the platform is in the middle and not a split one like at L’Enfant. Anyways for the most part the Metro is pretty good accessibility wise, as we have very rarely experienced people using the elevator that do not need to. Also, after the game they make sure that those that need the wheelchair turnstile get through it before those that do not need it. I was afraid it was going to take longer to get into the station because we could not use the SmartTrip express lane due to not being accessible and I did not bring my third SmartTrip card, but the wheelchair lane ends up being an even better express lane for those that truly need it. While I love the D.C. Metro it does have issues with elevators regularly, so be sure to check you check the status of the stations you are going to be at (start, end, and transfer stations) before you use it. Getting into Nationals Park was very easy because we were there when they first opened the gates. They often only open the side gates at the Centerfield gate and each side only has one line, which leads to an entrance that is accessible. I think even the line of turnstiles they open up later has space for a wheelchair to go through between each turnstile, especially since the turnstiles can be moved since they are moved entirely out of the way by the end of the game. Our tickets for the game were for section 224. We did not sit very long before finding out we were going to get to see the game from the Diamond Club, but we were here long enough to know what the view is like. The handicap seats in 224 are located below the upper deck seats with their own access, so you do not get people going by to get to their seats other than the relatively few in the handicap row. The view from 224 is good, as you can see the whole field. Higher in the section part of the right field is blocked from view, but from the handicap row there is very little of it blocked. The view of the scoreboard is also great from here, although you do have to look to the right and away from the action to look at it. The elevator up to the 224 seats really is up to the seats and you have to go back down one or two levels to get to any concessions, but the elevators do not seem to be used by those that do not need them. By the way I had season tickets in the regular 224 last year and used to go by the elevators to the stairs and it really is hidden enough that people that do not even use the stairs here much less the elevators. We ended up spending most of our time at Nationals Park sitting in the Diamond Club. Here we had a table with a behind home plate view. The tables have chairs that can be moved out of the way and Mik could easily roll up and have a good spot to use the table and view the game. The table made it possible for Mik to feed himself the whole time. Sometimes at the ballparks Dad has to feed him, since it is sometimes hard for him to hold the plate/bowl/whatever and eat what is in it at the same time. He also liked the table because he could have his iPod, PSP, and whatever other entertainment all out in front of him without having to keep asking us to switch stuff out of the bag for him. Overall Nationals Park is a great modern ballpark in terms of accessibility and amenities. It might not have some of the unique character things that make its architecture stand out of have a lot of special statues to see, but it is very accessible as one would hope for and actually expect from a still pretty new ballpark. They do not exactly have a great team, but it is still always fun to see a game at Nationals Park and I am glad that Mik enjoyed it from the start, as he was already enjoying the view when we were in 224. Of course, I am a little biased being a Nats fan, but there is no denying that it ranks near the top if not the top in accessibility. One of the things we were given as part of our unique experience at the Nationals Park was a baseball signed by Cristian Guzman. The ball is an official unused one that Cristian Guzman signed on one side. There may be no design to the ball, but the autograph makes it much more special than any design ball. It is my favorite ball of the trip and it will go great next to my favorite ball in my collection back home. The favorite ball I have ever gotten is one my mom’s friend got signed by Jon Rauch for me. That ball has the Nationals Park Inaugural Season logo on it and Jon Rauch was the winning pitcher for the Inaugural Game at the park and I was at that game. Now I have a ball signed by the player that got the first hit and scored the first run at Nationals Park in that same game.